For 45 years The Saul Zaentz Company has been a fount of great American independent cinema, creating motion pictures of the highest artistic merit. 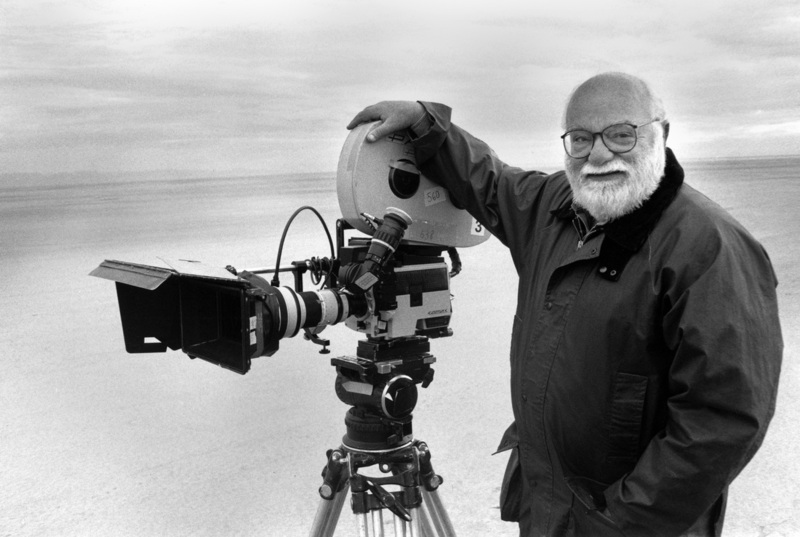 Saul Zaentz produced ten films, three of which won the Academy Award® for Best Picture: One Flew Over the Cuckoo’s Nest, Amadeus and The English Patient. Few producers own a home run record like this. The Saul Zaentz Company is renowned for bringing complex and often challenging literary works to the screen. Saul Zaentz himself chose the stories that became his movies based on what he wanted to see. Books. Plays. Stories that he found vital and emotionally compelling. The company is also noted for films that were beautifully crafted, incorporating rich soundscapes and music, costuming and sets, and exquisite cinematography, always shot on location. This attention to quality and authenticity brings life to the tapestry of the films. The Saul Zaentz Company as a filmmaking operation had its beginnings in 1970, when Saul announced his interest in producing motion pictures to his partners at Fantasy Records. Zaentz wanted to film the classic 1960s novel "One Flew Over the Cuckoo's Nest" by Ken Kesey, but struggled to acquire the rights. Saul had started in Sales at Fantasy in 1955, worked his way up to producer and sales manager, and in 1967 organized a partnership to acquire the company. The partners included Al Bendich, Frank Noonan and Ralph Kaffel. In 1972 Fantasy producer Ralph J. Gleason brought a script to Saul that became the company's first film, the critically-acclaimed Payday, about a Country singer at the end of his rope. Saul Zaentz and Michael Douglas eventually secured the rights to One Flew Over the Cuckoo's Nest and they co-produced it in 1975. Directed by Milos Forman, it won Best Picture, swept the Oscars® and made a superstar of Jack Nicholson. The company next produced Three Warriors (1977), about a young Native American man who returns from his life in the big city to the reservation where he grew up. It was shot on location on the Warm Springs Indian Reservation in Oregon. In 1978 Fantasy Films released the animated version of The Lord of the Rings, directed by Ralph Bakshi. The company had acquired the film rights to J.R.R. Tolkien’s "The Lord of the Rings" and "The Hobbit" from United Artists in 1976. The further significance of this came to bear 20 years later when the Saul Zaentz Company licensed the films directed by Peter Jackson. In 1980 the company built the seven-story Saul Zaentz Film Center next to the Fantasy building at Tenth and Parker in Berkeley. Under the management of Irving Saraf, himself an Academy Award-winning filmmaker, the Film Center provided affordable production and office space for documentarians, writers, musicians and editors, joining Zoetrope, Lucasfilm and Skywalker Sound as a vital part of the Bay Area film community. For more than 20 years studio and independent filmmakers from around the world used the Saul Zaentz Film Center to create and finish their work. In 1984 Saul Zaentz reunited with Milos Forman to film Amadeus, Peter Shaffer's adaptation of his hit stage play. The film won eight Oscars including Best Picture at the 1985 Academy Awards. The soundtrack on Fantasy Records, by the Academy of St. Martin in the Fields directed by Sir Neville Marriner, sold over 100,000 copies and was certified gold, spent two years on the charts and won the Grammy for Best Classical Album in 1985. In 1986 Saul executive-produced The Mosquito Coast. It was produced by Academy Award-winner Jerome Hellman, directed by Peter Weir and starred Harrison Ford and Helen Mirren. Based on the Paul Theroux novel, the screenplay was written by Paul Schrader. Zaentz produced The Unbearable Lightness of Being in 1988, directed by Philip Kaufman from the novel by Milan Kundera. It introduced Juliette Binoche in her first English-speaking role. Jean-Claude Carrière and Kaufman wrote the script, which was nominated for an Oscar and won the BAFTA for best adapted screenplay. In 1991 Zaentz produced At Play in the Fields of the Lord, which he shot entirely on location in the Brazilian Amazon. It was directed by Hector Babenco from the novel by Peter Matthiessen, adapted by Jean-Claude Carrière and Babenco. In the early 1990s Anthony Minghella approached Paul Zaentz with the idea of making a film of “The English Patient,” the Booker Prize-winning novel by Michael Ondaatje. Minghella gave Paul and Saul Zaentz a copy of the book, and Saul secured the rights for the screen. Working closely with Ondaatje, Minghella wrote the screenplay for The English Patient and in 1996 directed the Saul Zaentz production of the film. The team triumphed at the 1997 Academy Awards, winning six Oscars including Best Picture, Best Director and Best Cinematography. In 2005 Saul reunited a third time with director Milos Forman and writer Jean-Claude Carrière to make the historical Goya’s Ghosts, shot entirely on location in Spain and released in 2006.